Just because I’m not blogging about the ties doesn’t mean I’m giving up or not doing it. Here’s three more. The Day 10 tie photo is a little uninspired (remember I said I’d fill the backgrounds with landmarks and interesting things? ), but when I got to work that day it was really busy, so I didn’t have much time to leave work and take a great photo. 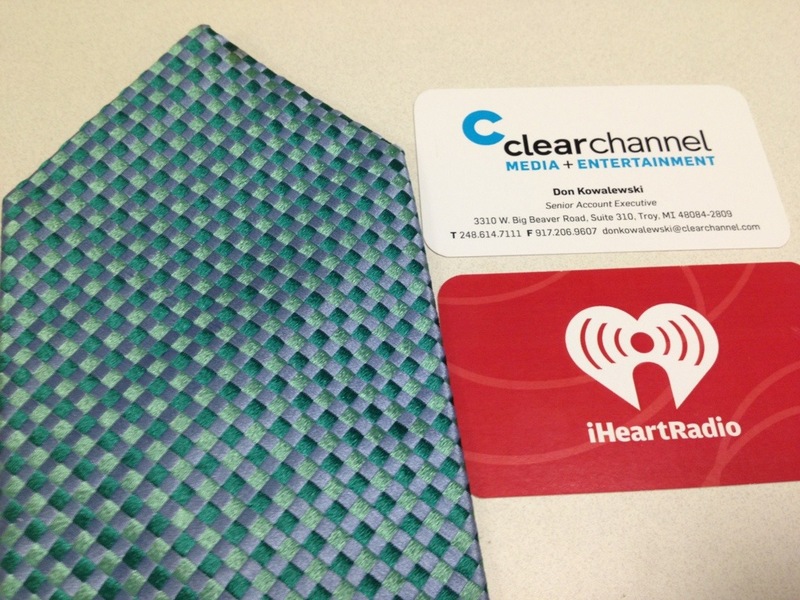 But what I noticed about this tie (from Express, of course) is that it was the same color as the “C” on my business card. How cool is that? I really like the back of my business cards, too. On Day 11, I went about as “corporate” as possible and this tie is so boring I think it’s the type of tie most people think of when they say, “I hate wearing ties.” Well, yes, if your ties are completely boring and without any unique colors or patterns, it’s pretty sad. 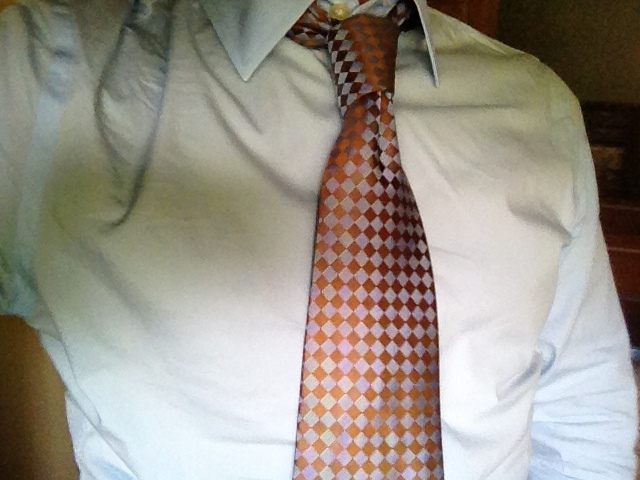 The tie below is, like, a light copper and blue and goes well with my light blue shirt. It’s a Nautica. The shirt is a Kenneth Cole Reaction (which surprised me because I thought Reaction was only for their shoes). 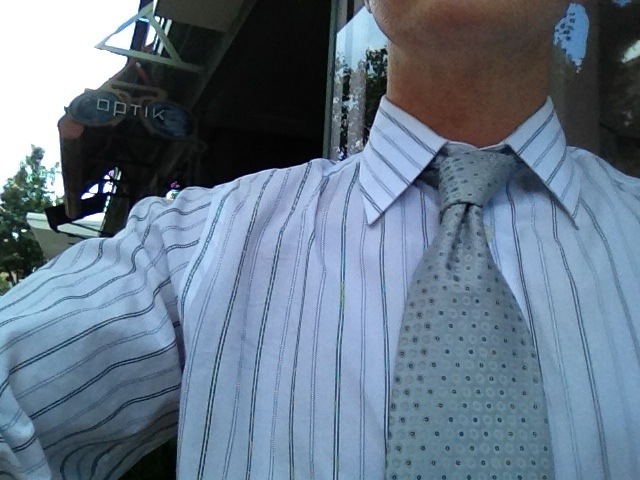 And lastly, another Nautica tie (silver, grey, black) with my eyeglass shop in the background. Optik is in Birmingham and they have the nicest doctor. I like him because unlike any eye doctor I had ever visited, he was the first to say I had an “astigmatism” and he actually prescribed glasses that helped me see better. Sadly, my new vision coverage takes him “out of network” and my vision screening will be somewhere else. Bummer. That’s all for the ties. When next I blog, I’ll be back to talkin’ about my lungs. Darn lungs. Have a great, tie-filled day.